Catherine completed her Bachelor’s Degree in Music Performance at Queen’s University and her Masters in Communications and Media Studies at Concordia University in Montreal. Moving west, her formative career years took Catherine to the Banff Centre, and then to Tourism Kelowna, where she headed up the PR program that included travel media and corporate communications. 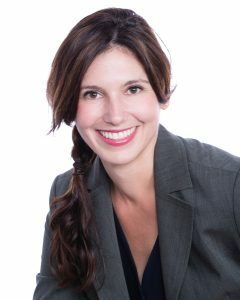 She founded Kelowna’s Farm to Table program, connecting local farmers and chefs; pitched travel stories including the successful 2013 premier of the Amazing Race Canada; and instigated PR coverage with exposure totalling half-a-billion. Catherine was named to Kelowna’s 40 Under 40 in 2015. In the fall of 2015, Catherine took the opportunity to move back home to Ottawa to open Ottawa Tourism’s newly-minted Destination Development department. A proven relationship-builder, she has collaborated on several projects to elevate Ottawa’s competitive edge, including overseeing the DestinationNEXT diagnostic report card for Ottawa as a destination; advising on the Ottawa Host 150 training portal for hospitality frontline staff; raising the funds and rallying the partners to kick-start a wayfinding signage program involving multiple private and public sector organizations; and collaborating on the mapping and execution of a new signature Capital Cycle Route showcased on the popular Ottawa Tourism tear-off maps. In 2017, Catherine received her APR professional accreditation through the Canadian Public Relations Society. She enjoys trailblazing for the improvement of Ottawa’s visitor experience.